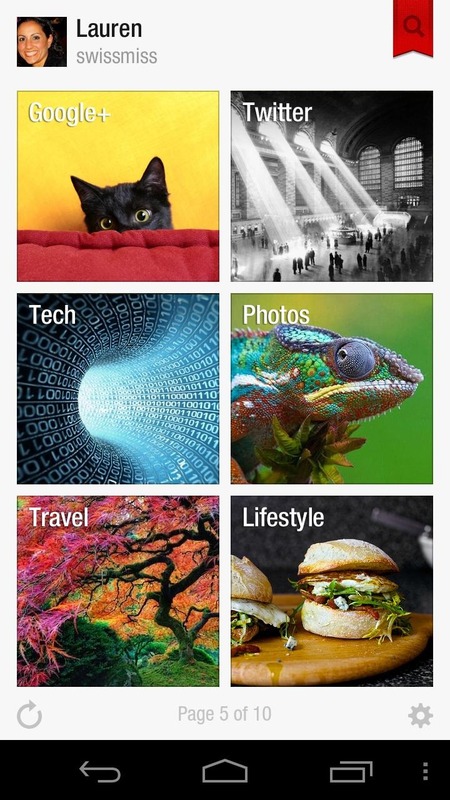 Flipboard was one of the most hotly anticipated app launches on Android this last year. This super-pretty news reader first debuted on the iPad, where it turned a lot of heads before arriving on Android. 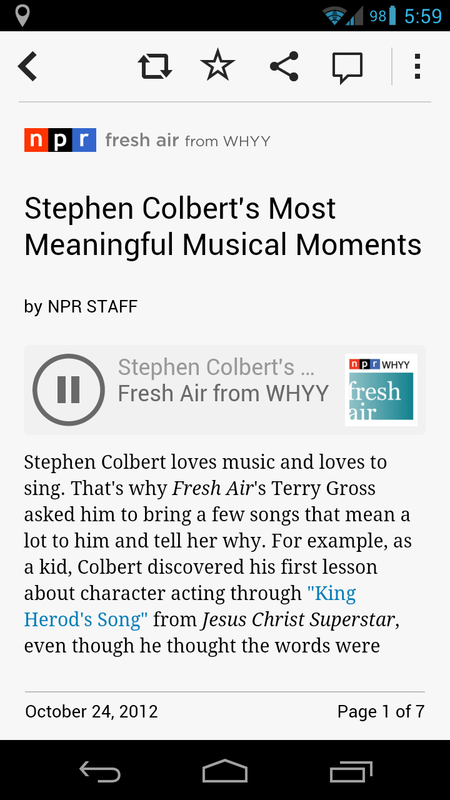 This most recent update adds audio streams to Flipboard's magazine-like UI. For those that aren't aware, Flipboard is a news reader that plugs into your various social accounts to find content. This part isn't terribly special, but by combining the news stories it finds in your social feeds with categories you subscribe to, the app builds a kind of digital magazine out of your news. It looks really cool. 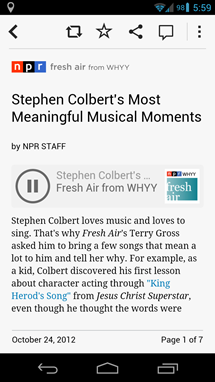 The addition of audio lets you listen to segments from NPR Fresh Air, PRI’s The World, and more news sources from within the app. You can now listen to SoundCloud content from your friends in Flipboard, as well. 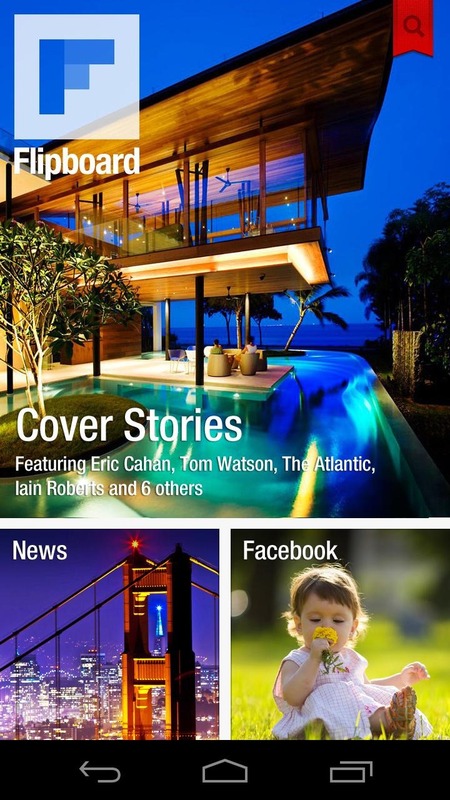 The Android version of Flipboard is optimized for phones, not tablets. It does run fine on a 7-inch slate, but larger devices are not supported. Flipboard is free in the Play Store.